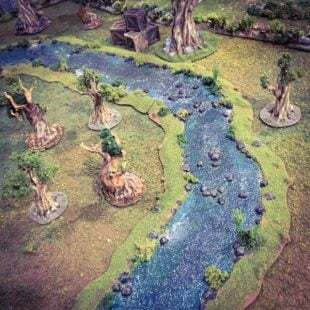 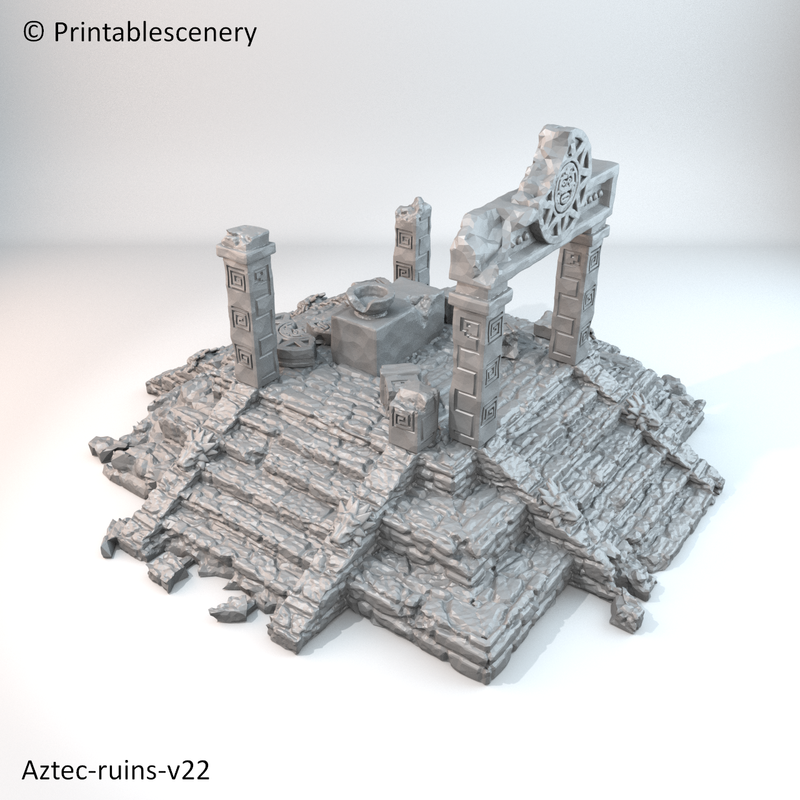 Though the Aztec civilization is long dead, its ruins and remains can still be found to this day in the jungles of South America. 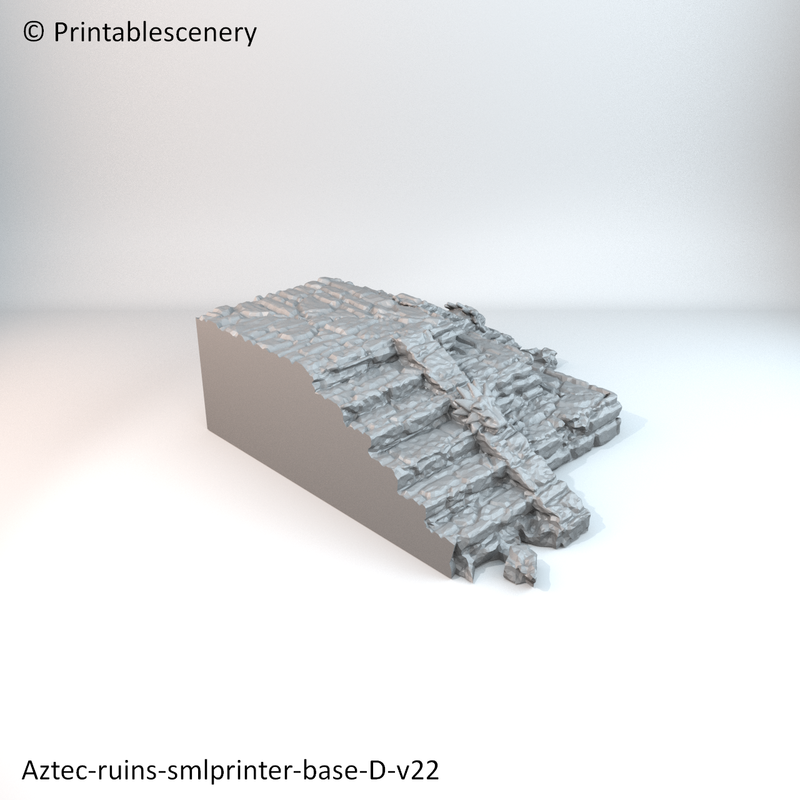 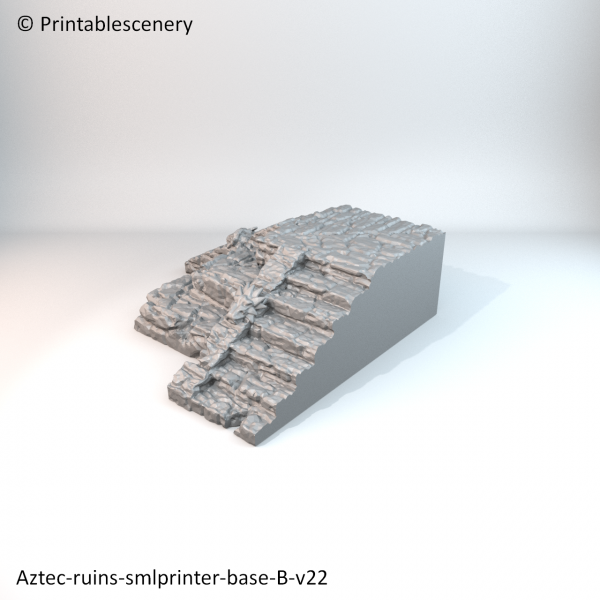 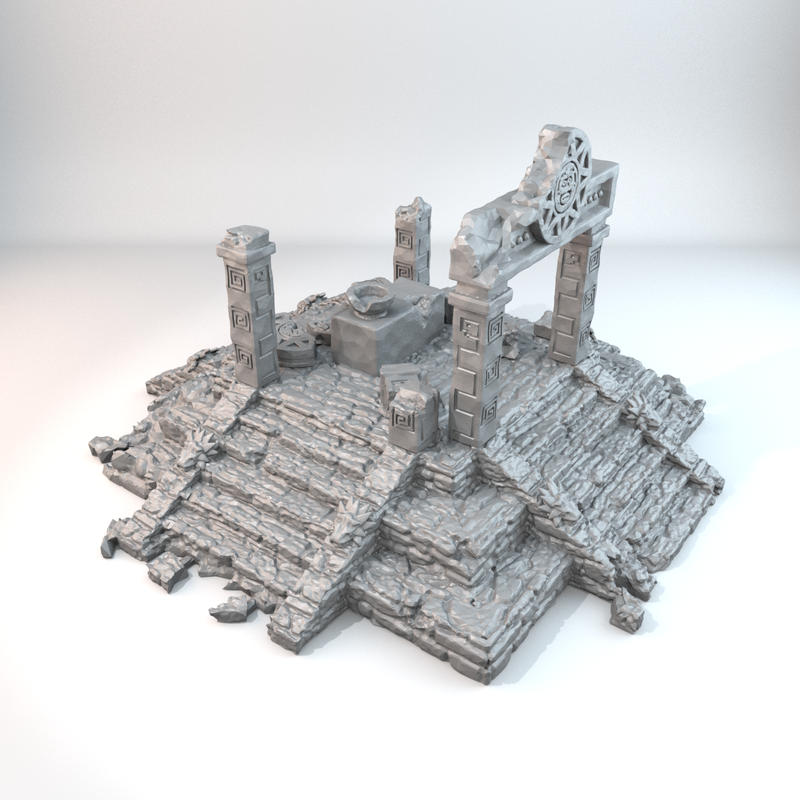 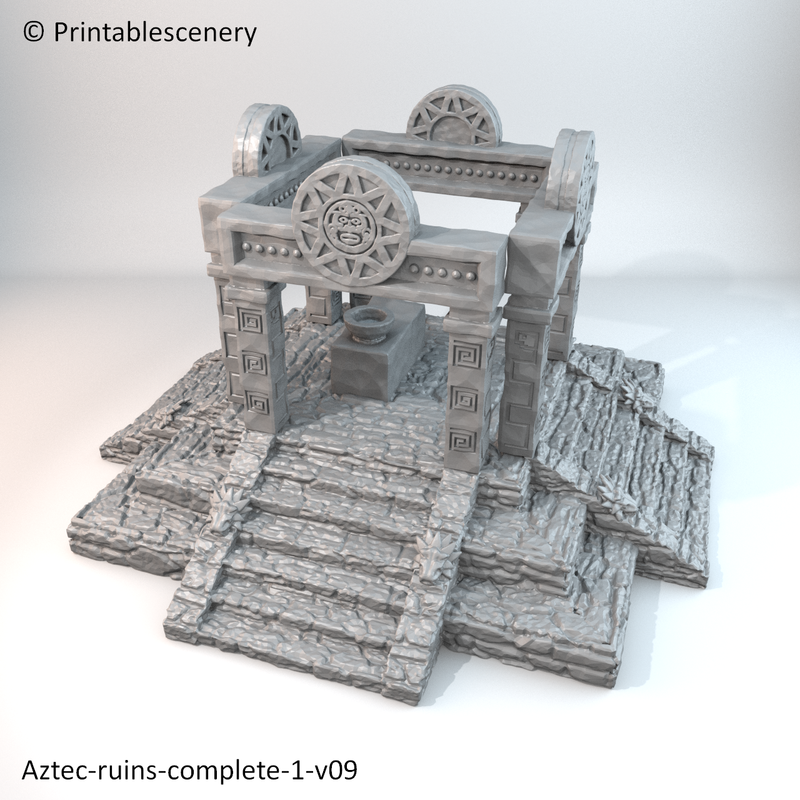 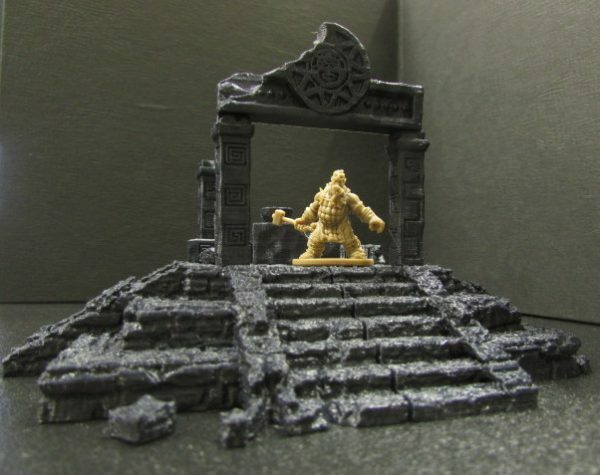 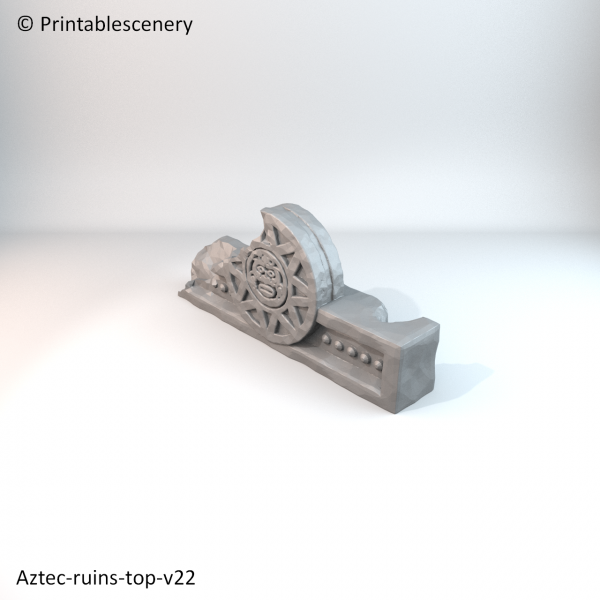 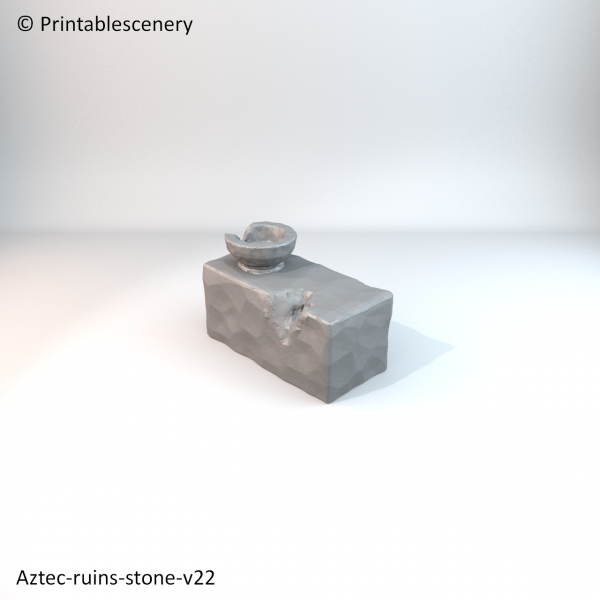 The Aztec Ruins can be printed as ruined or non-ruined structures. 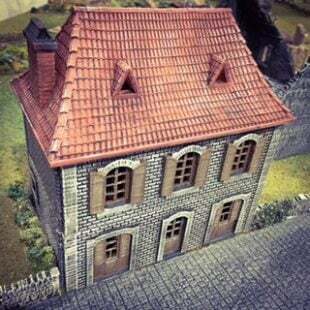 The complete model will fit on a 160mm x 160mm print bed. 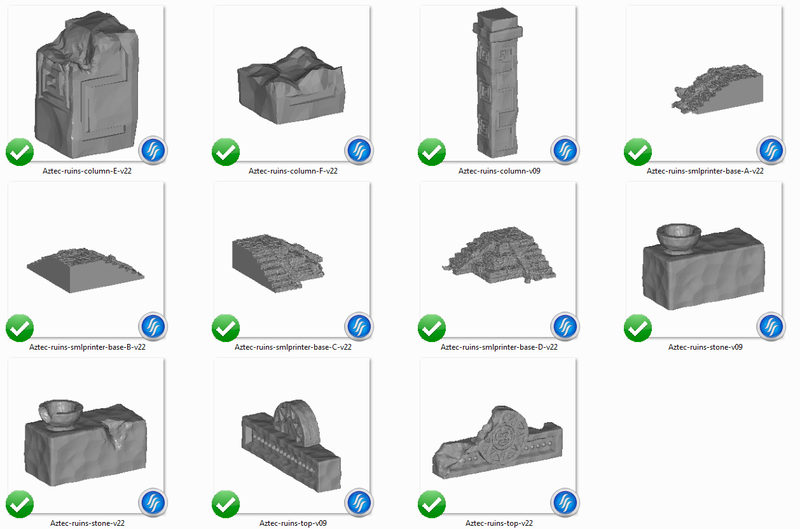 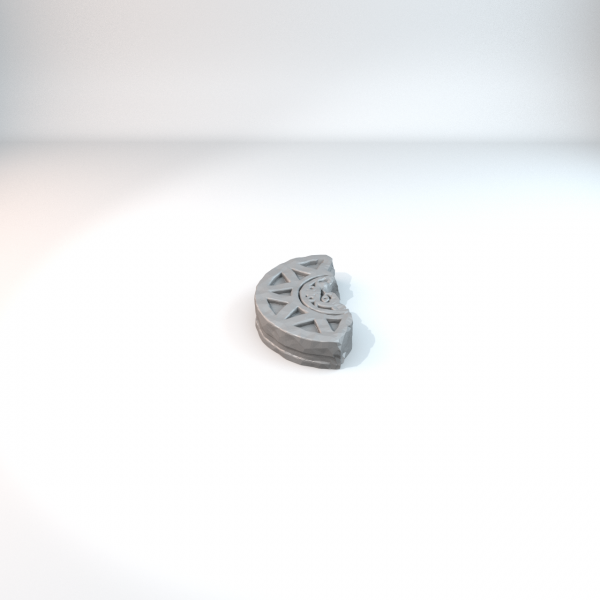 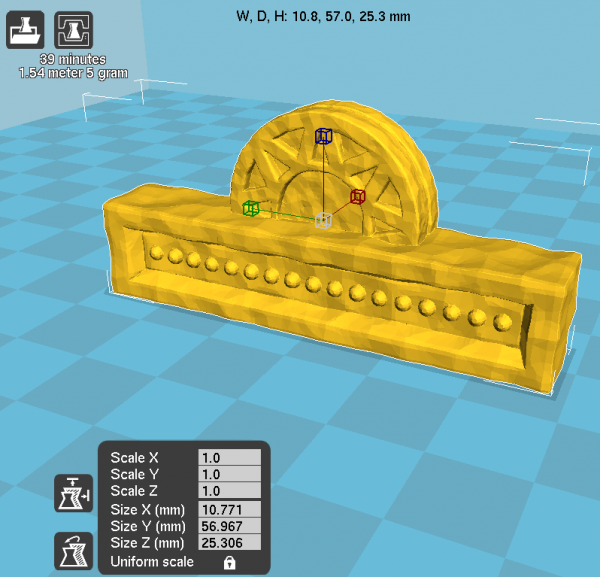 We have included the quarter sections for smaller printers. 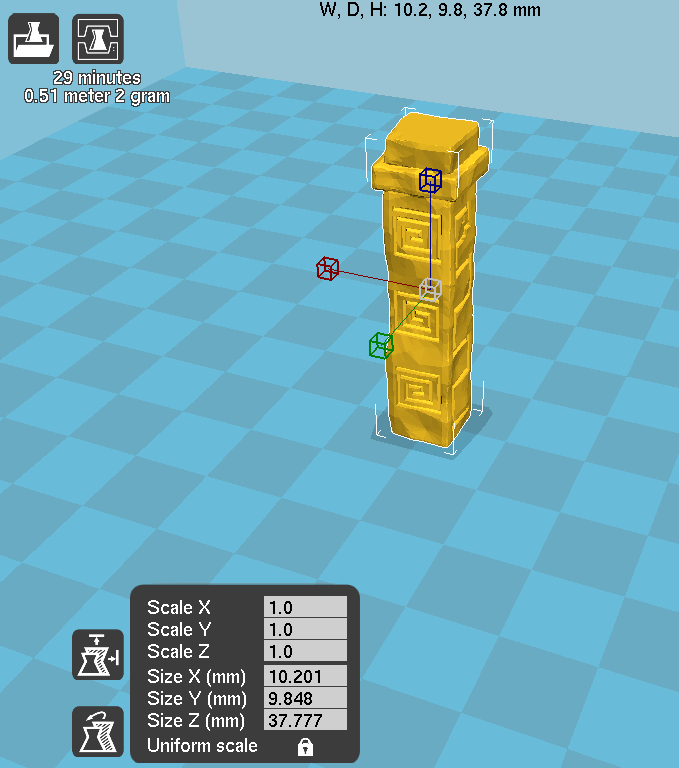 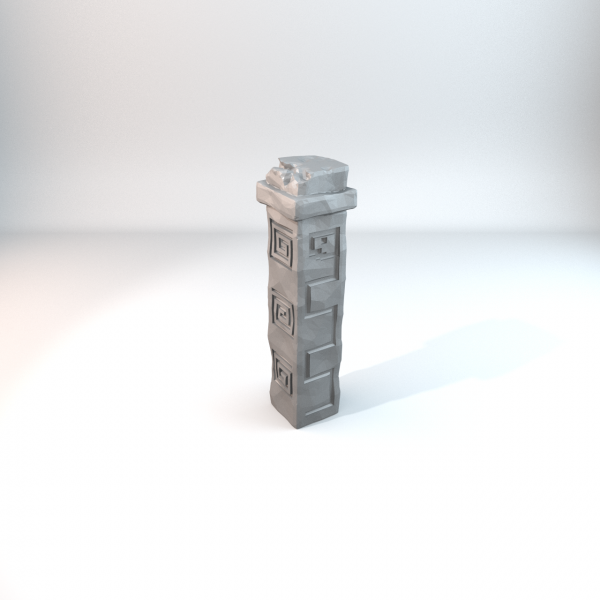 When you print the columns be sure to switch the print raft on, so the column will not fall over when printing. 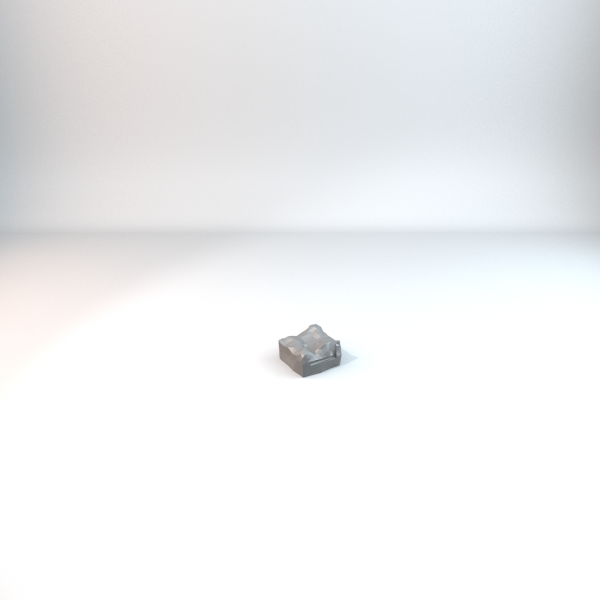 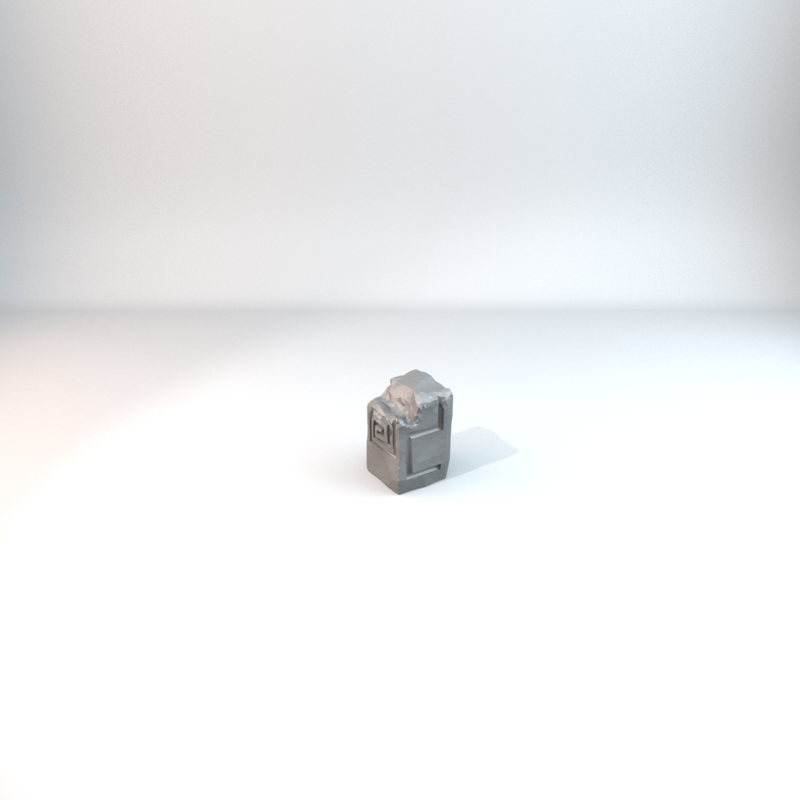 This product is part of the ADD-ON APOC Sci-Fi. Please log in if you backed the campaign. 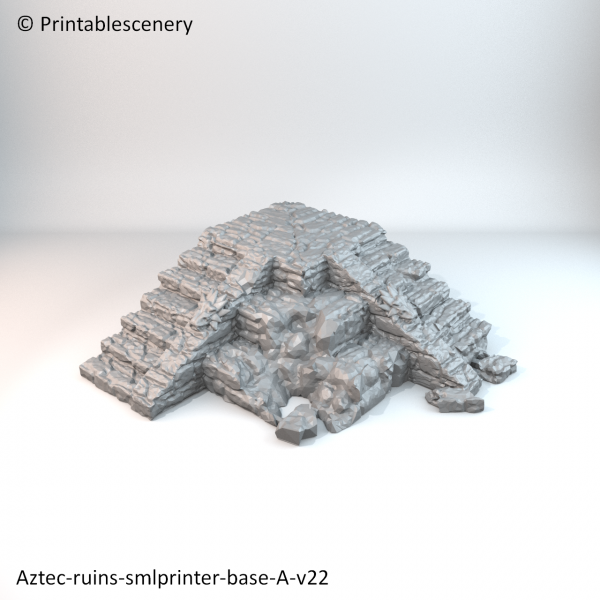 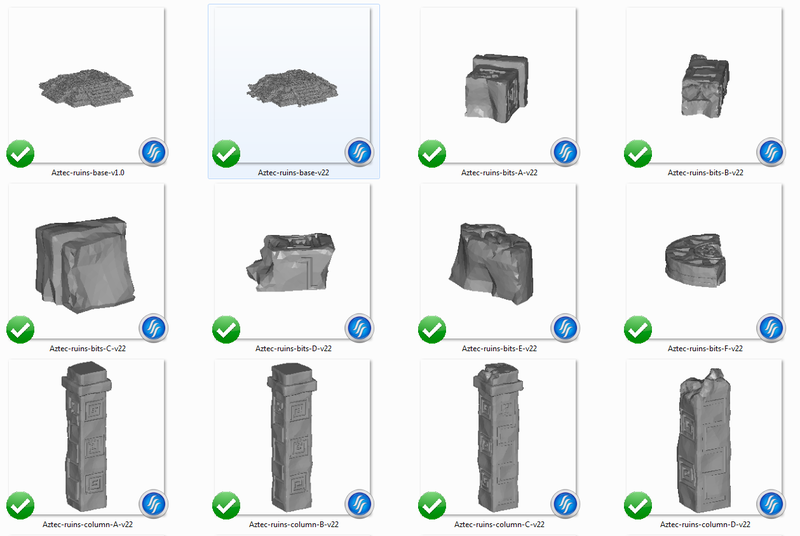 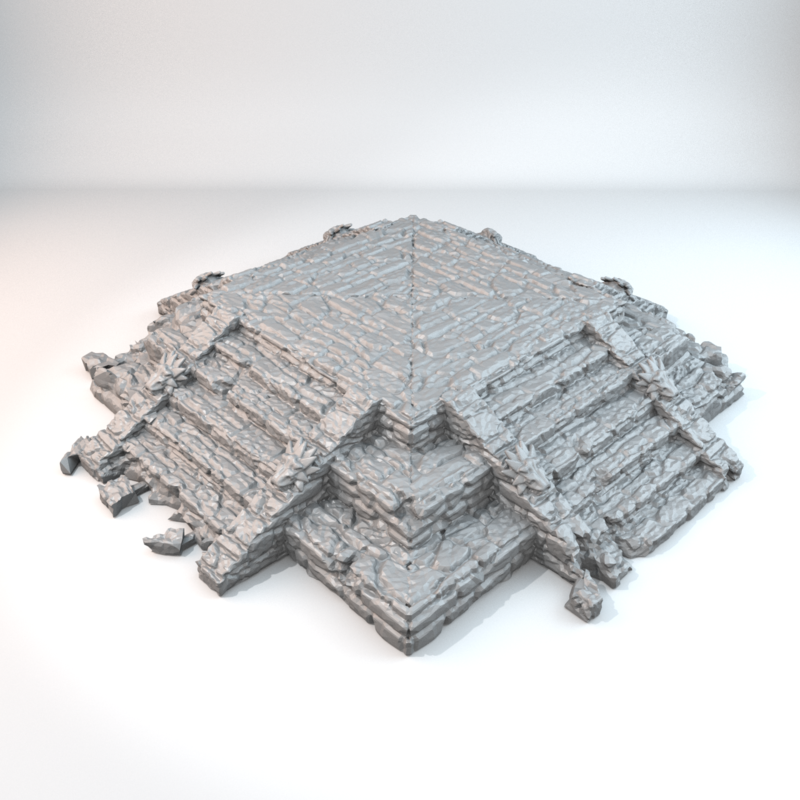 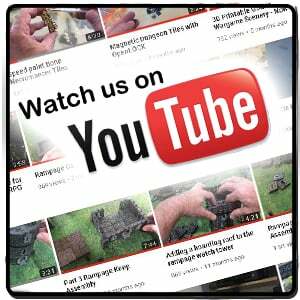 28 June 2017 – 1.0 Small mesh repair to Aztec-ruins-base-v1.0. 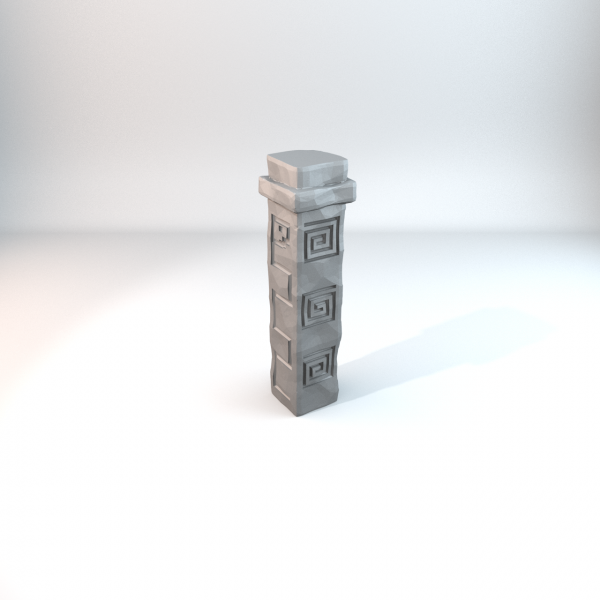 I have been trying to print the columns at 0.15, but they fail at the top (the little square) . Should I print at 0.1 ? Or should I print them one by one ? 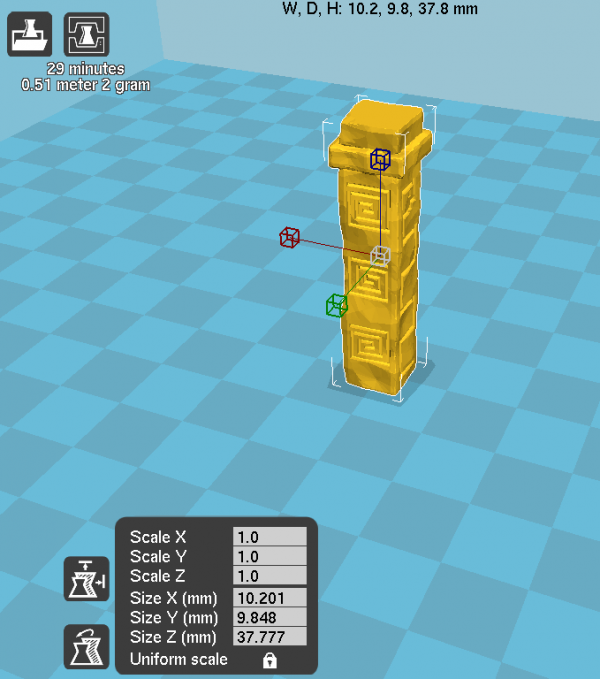 Yes, Printing tall thin objects are always tricky. 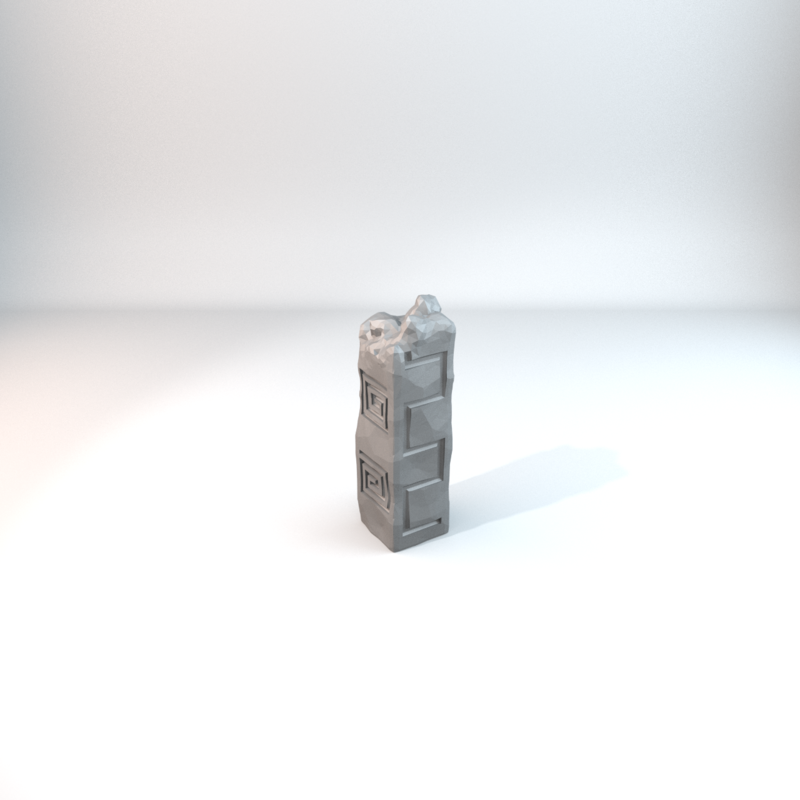 The best it to try 1 at a time with a Raft. Set the raft to 10mm margin and .5mm thick. 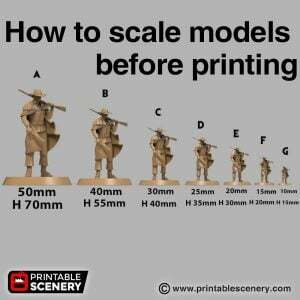 Then try two at a time. 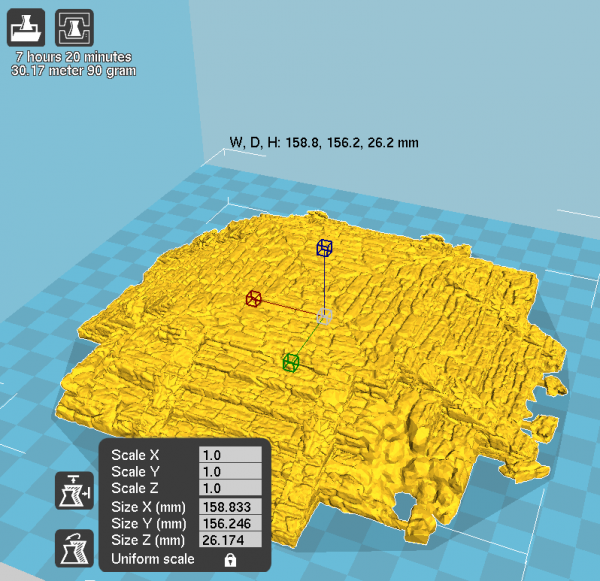 Make sure you keep them as close together as you can on the print bed.